The scene of the crash on the A1. Picture by Jamie Anderson. This is the dramatic scene of a collision on the A1 in Northumberland, which forced the closure of part of the road. 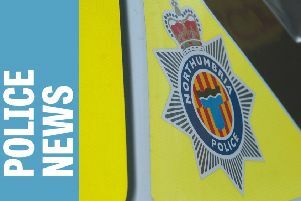 The incident, which involved a number of vehicles, happened at the northbound junction near to Newton on the Moor and was reported at 12.15pm. Both sides of the carriageway were closed, but the Gazette understands that the southbound section has now reopened. Eye-witness Jamie Anderson, who lives at Newton on the Moor, told the Gazette: “The traffic was chaotic down near the scene with people doing three-point turns all over the place trying to get up north.